Throw on some tartan and expect plenty of fun whilst walking through some of Scotland’s beautiful scenery. You’ve got three distances to choose from, so there is something for the whole family! You’ll be greeted at the finish line with a well-earned drink, a hot meal and live music found at the Kiltwalk Village. This year, the funds raised through Kiltwalk will be underwritten by The Hunter Foundation, which means charities will receive a 40% boost on fundraising. Read more about how the fundraising boost works. If you’ve secured your own place directly with the Kiltwalk we would love to welcome you to our #bowelcancer team. There is no set fundraising target; we just ask that you raise what you can to help us stop people dying of bowel cancer. 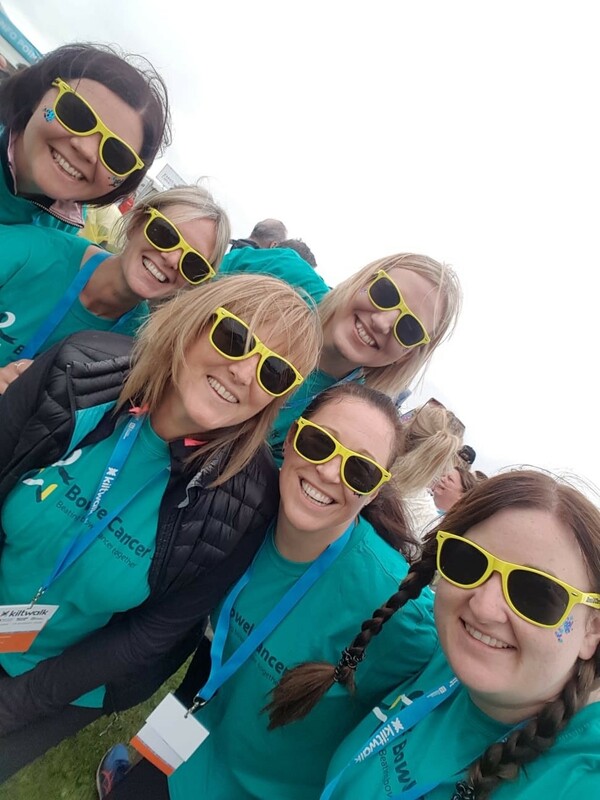 Our Scotland Fundraising team will support you all the way, from your initial welcome pack, walking with team #bowelcancer on event day through to celebrating with you at the finish. We will send you a bowel cancer t-shirt to wear along with regular training and fundraising updates to make sure you have the best experience. If you have any questions about the event or the entry process, email emma.boffey@bowelcanceruk.org.uk or call 0131 281 7351.